Shopping for my mom is always difficult because she has everything she needs and tells me that the only thing she wants “Is time with her family”. But I have a feeling if I showed up at the door on Christmas day with a card that says “My presence is your Present”, she isn’t going to be feeling the love. So I racked my brain and came up with some unique gifts for moms who have everything to help us out in our gifting! The best thing about buying presents for the mom who has everything is that you get to be creative. And it doesn’t have to be expensive. I am no DIY expert, so I don’t have any of those type of gifts on this list, but you could even make something adorable and they would love it. I opt for presents that can be purchased and shipped quickly because I am a huge fan of convenience. If your mom is a grandmom, then you better get that lady some Chatbooks. These custom photo albums are adorably cute, take 10 minutes to make and cost only $10. So you can get your momma several Chatbooks with 60 adorable photos of her grandbaby. They currently have some Kate Spade covers that would look good on any bookshelf. I feel like these cute journal covers are something that you wouldn’t buy for yourself, but they would be fun to have. If your mom likes books or loves her some journaling, this would be a great unique gift for a mom who has everything. These can get a bit pricey if you decide to use a photographer, but you can always reach out to a friend who owns a nice camera and see if they would be willing to do it for a cheaper rate. This is a great gift because you put in a little bit of work coordinating schedules with your siblings and then you get to be the prized child who will be thought of everytime your mom looks at her new family photos in a frame (that you probably bought her as well). These journals are to die for cute and they really do help your soul. If you need a unique gift for moms, you know you have found it when it speaks to her soul. Your mom will get just the right amount of feels when she opens one of these journals and they speak to five different topics (Faith, Renewal, Joy, Hope, and Gratitude), so you can tell her why you picked that topic specifically for her. Hearts will melt, Y’all. Who needs a heated footrest? That is exactly the point! Your mom has everything. Why shouldn’t she have a footrest that not only props up her feet but keeps them toasty warm as well? Her time spend sitting at a desk will be forever changed. Every woman loves to smell nice, and my mom doesn’t usually buy perfume for herself. That could be because her children have always given her perfume for Christmas, but she seemed to enjoy it. 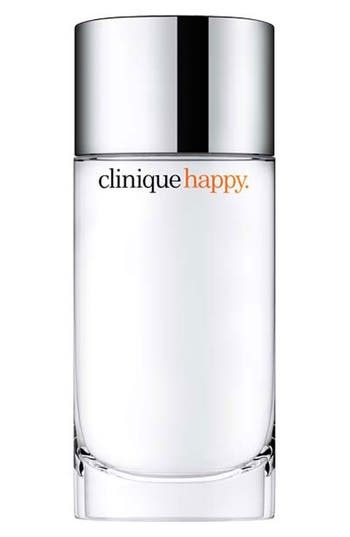 My mom’s favorite scent was Clinique Happy. So this is a gift I would love. I love my current Bible, but I have my eye on the wide margins and beautiful typography used all throughout the She Reads Truth bible. You can order these pretty scripture books directly from Amazon (Prime shipping!) or directly from the She Reads Truth shop. For the mom who loves cooking (or even needs a little help in the kitchen!) a cookbook and a cute apron would be a perfect gift! I love this cute apron from Flirty Aprons (pictured below) and I am not a cooking expert, but I bet anything that the Pioneer Woman recommends in her “Come and Get It!” cookbook will be a winner. When all else fails and you are desperate for unique gifts for moms who have everything, a good old spa kit is a sure success. This bath bombs gift set from Lush does all the work for you. Share some of your ideas for unique gifts for moms in the comments below! If you are looking for even further gift suggestions, be sure to check out my gift guide for goal-getters.